Beautiful shot! 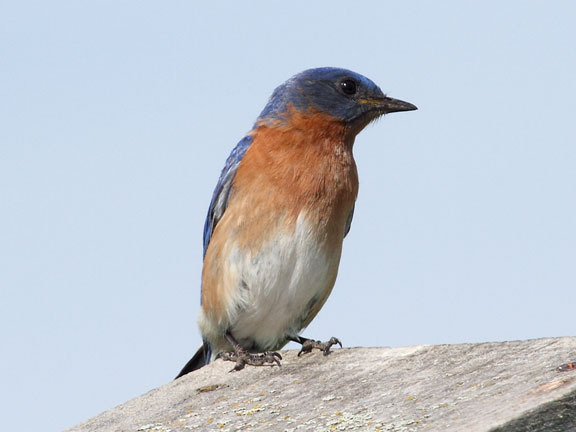 I've never had the good fortune to see a bluebird. Seeing a photo like this probably provides a better view, anyway! Great close-up of the bluebird. In the NY area, we would talk about bluebirds growing up, but rarely ever saw them. Your birds always pose so nicely for you! !